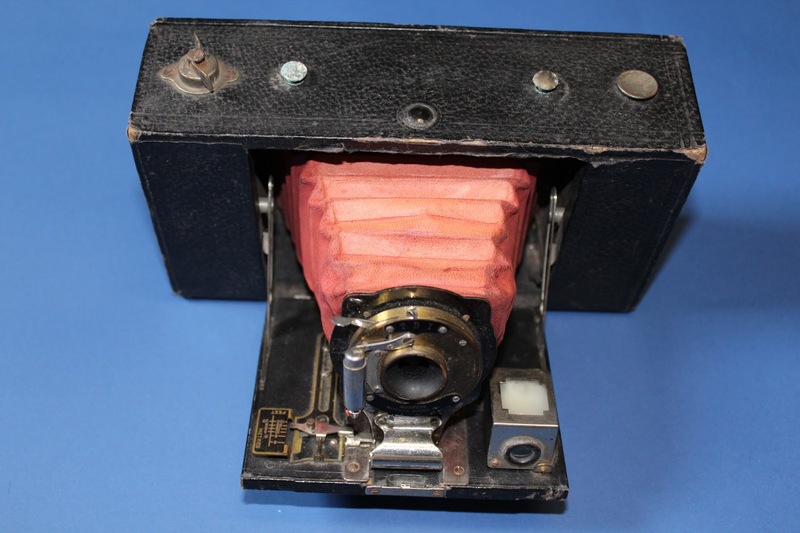 The Brownie camera was introduced to the market by Kodak Eastman in February 1900. It was a very basic cardboard box camera with a simple lens. It was cheap to buy and became extremely popular. The name Brownie is derived from the 'brownies' in a popular Palmer Cox cartoon of that period. This model No. 3 is made of wood and leather dating from 1909-1915. Sunday 18th June 2017 is International Brownie Camera Day!